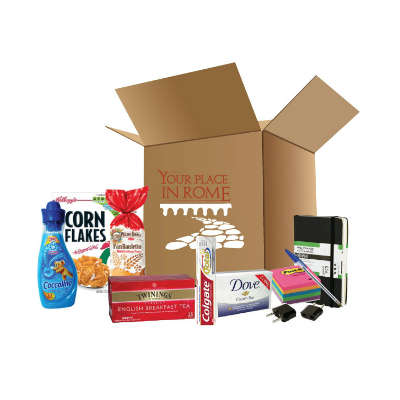 The perfect welcome package for new students to kickstart their semester in Rome! Why purchase a YPR Kickstart Package for your semester abroad? Travel lighter: there is no need to pack all of these items and lug them across the ocean when you can find them in your apartment the moment you check-in! This is especially true when you are tired and jet-lagged, and the last thing you will want to do is go out and search for these basic necessities. *NOTE: Some brands may differ depending on availability.